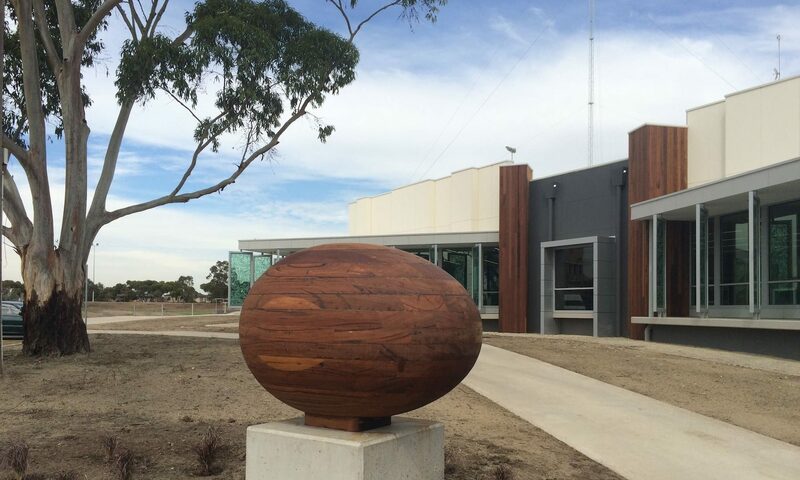 Australia’s first directory of library building projects. Anybody with a .gov.au email address can instantly join Design Your Library to add or edit libraries. This community directory works best when as many people as possible contribute! Who can join? How do I join? Does it cost money? This secure site is absolutely free to join and without ads thanks to hosting provided by Eastern Regional Libraries. To prevent abuse, membership is limited to anybody with an email address ending in .gov.au. If would like to contribute but do not have a suitable email address, please use the contact form to request access. If you do have a suitable email address, click here to join instantly. What are the steps to join? What information is required? Joining takes seconds, is secure and requires only a username (any name you like) and a .gov.au email address. When you first join you’ll receive a confirmation email containing a link to set your password. How do I add a library? If you’re familiar with WordPress then using this site will be a piece of cake! If not, it’s still quite easy to navigate but you might like to use your library’s free access to lynda.com to watch a training video. Once you’re logged in you’ll be able see an ‘Add a Library’ button along the top of every page on this site. Simply click it and you’ll be taken to a special page that has much of the content layout prefilled. You can very easily revise the content to match the library you’re adding and then press ‘Update’ on the right hand side. Take special note of the ‘Key Library Data’ section on the right side. Please provide this information about the library as it’s used to help visitors find the library in search results on the site. 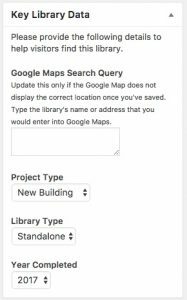 The ‘Google Maps Search Query’ box is optional and only needs to be filled in if the map on the library’s page displays the location incorrectly. Libraries look fantastic when a “Featured Image’ is added via the box on the right side. This becomes the large banner image across the top of each library’s page. How do I edit a library? Once you’re logged in you’ll be able see an ‘Edit Library’ button along the top of every page on this site. Simply click that button and you’ll be taken to the WordPress editor. Add or remove any content you like and then press ‘Update’ on the right hand side. The library will be updated instantly. How do I add photos to a library? Photos can be added anywhere on the library page using the ‘Add Media’ button along the top of the page while editing a library. Please only add photos you own and are allowed to share. Additionally, each library has the ability to display a gallery of photos with captions below the main content. While using the editor, click the part of your library post where you’d like to add the gallery and then click the ‘Add Media’ button at the top of the editor. From there click the ‘Create Gallery’ button in the top left corner. Use the onscreen dialog to upload images and add relevant captions. These help visitors understand what’s in the photos. Galleries can also be added using the ‘Add Media’ button mentioned above, and then selecting ‘Create Gallery’ in the top left corner. Each image must be below 4MB in size, though please ensure they’re smaller than that so users with slower internet connections can view them. What if my content gets removed by another user? No worries! All content is backed up regularly and all revisions are fully restorable. If something goes wrong simply click the ‘Revisions’ section at the bottom of the page while editing a library. 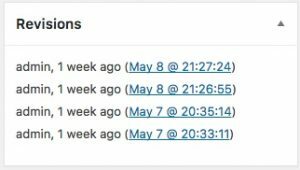 You’ll see the dates, times and authors of recent edits which can be clicked to be brought back.